When it comes to getting more done and being more productive, mindset is absolutely key. We need to be able to focus on our goals and stay motivated enough to take the steps necessary to accomplish them and that's the only chance we have of completing challenges and getting to where we want to be. But in order to do this, we often have to fight our impulses and our instincts. That means we have to force ourselves to get up and to work, even when we're feeling tired and just want to go to bed. It means that we have to motivate ourselves to focus on a long, hard day's work even when we're tempted to go home early and watch the next episode of Game of Thrones. This is what many of us think of as mental discipline: the ability to force ourselves to do that which we don't want to do. To take our ‘medicine' as it were and thereby keep progressing forward. But it might not actually be the best method. Because as it happens, being at constant war with yourself is not conducive to great productivity! So instead of doing that, how about working with your gut instead? A lot of us pay too much attention to time management. We act under the assumption that if we have time to do something, then we can do it. In reality though, our ability to complete work is much more related to our energy. If you don't have the energy necessary to focus or to work, then you won't be able to do it or your work won't be as good. And as it happens, our energy levels come on in waves and are largely out of our control. 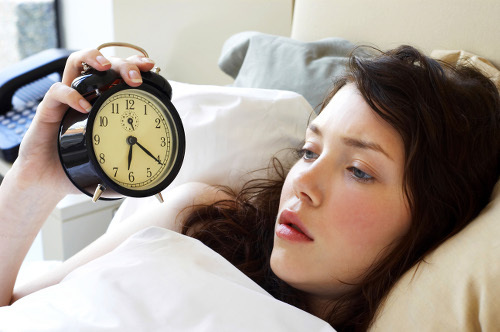 For example, first thing in the morning many of us struggle with something called ‘sleep inertia'. This means our brains are still groggy from the night's sleep and we aren't as productive. Likewise, we tend to be less efficient right after lunch or dinner. That's because an influx of carbohydrates gets broken down to tryptophan and that tryptophan is then converted into serotonin. In turn, the serotonin is converted to melatonin, making us sleepy! We're all likely to be tireder during 4pm too and of course some days are worse than others depending on what we did the day before. So instead of forcing yourself to change to meet your schedule, how about switching up your schedule so that you're doing the most important work when you're the most awake? Rather than focusing on the ’time’ we have to do a task, switch that focus to the ‘energy’ we have for that work. Once you start paying more attention to your own body signals, and trust that you’re too tired or that you have enough energy for this project right now, you’ll realize that the ‘timing’ problem sorts itself out. We work our best when we have enough energy for the work at hand.